This is a great warm weather dish that comes together quickly (other than brining the pork). 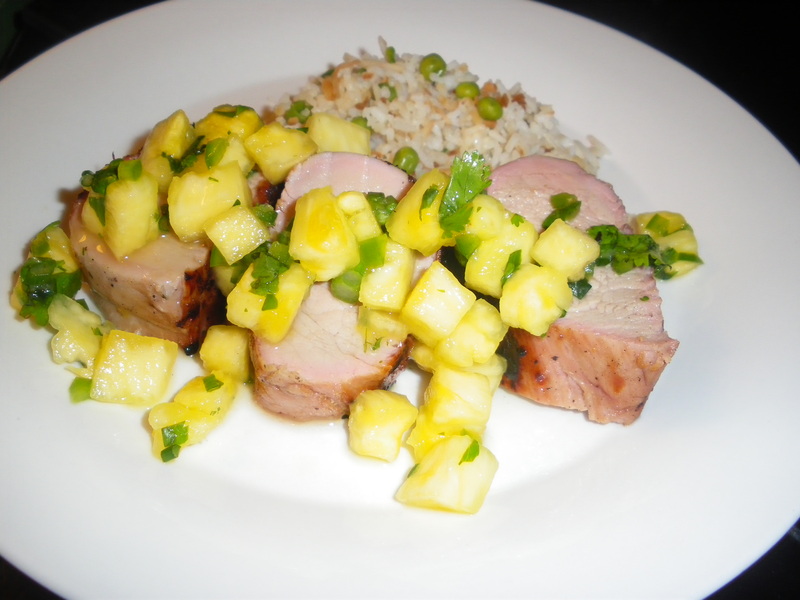 I love the way the pineapple salsa works with the smokey grilled pork. Brining is a step that I would not skip if you can help it. It not only produces incredible flavour, it also makes the meat really juicy. 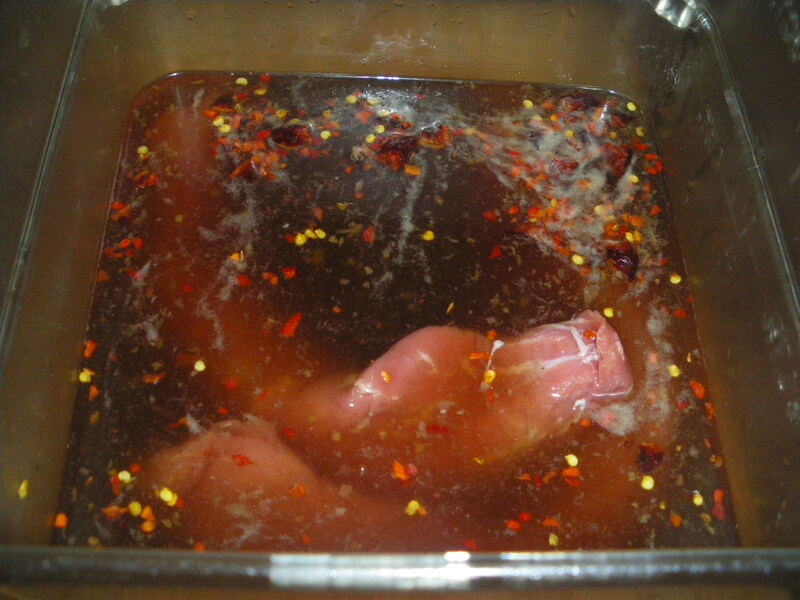 This brine would also be outstanding with chicken. This dish is great served with coconut basmati rice or mashed sweet potatoes. For my coconut basmati rice recipe, check out https://eatdrinksleeprepeat.wordpress.com/wp-admin/post.php?post=81&action=edit. Whisk well to dissolve salt and sugar. Submerge the pork in the brine. Put a dinner plate on top of the tenderloins if they are floating. Brine for 4 hours. Before grilling, take the time to pat the pork dry with a paper towel. Grill on medium high until the pork is medium or medium well, about 10 minutes per side. When the pork is done, cover it with foil and allow it to rest for 8-10 minutes before slicing. Combine the ingredients in a bowl. That’s it. These crispy chips make a great snack. 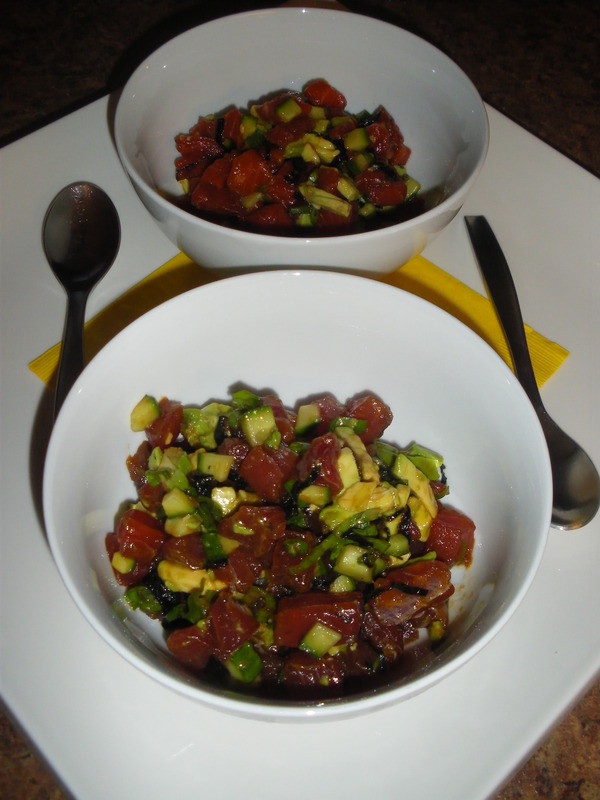 Also, try them with my sushi tartare (previous blog post) or dipped into hummus or an edamame dip. Preheat oven to 350F. 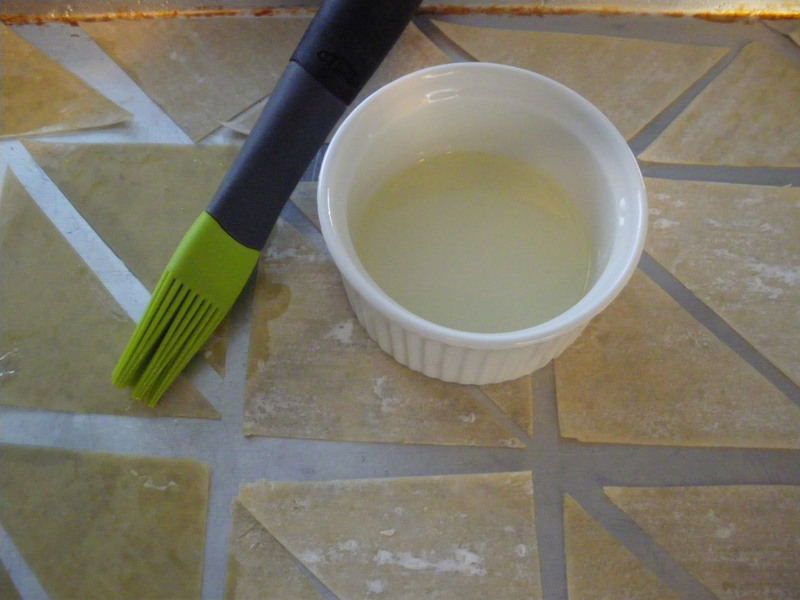 Slice the wonton wrappers diagonally to make triangles. Place in a single layer on a baking sheet that has been sprayed with cooking spray. 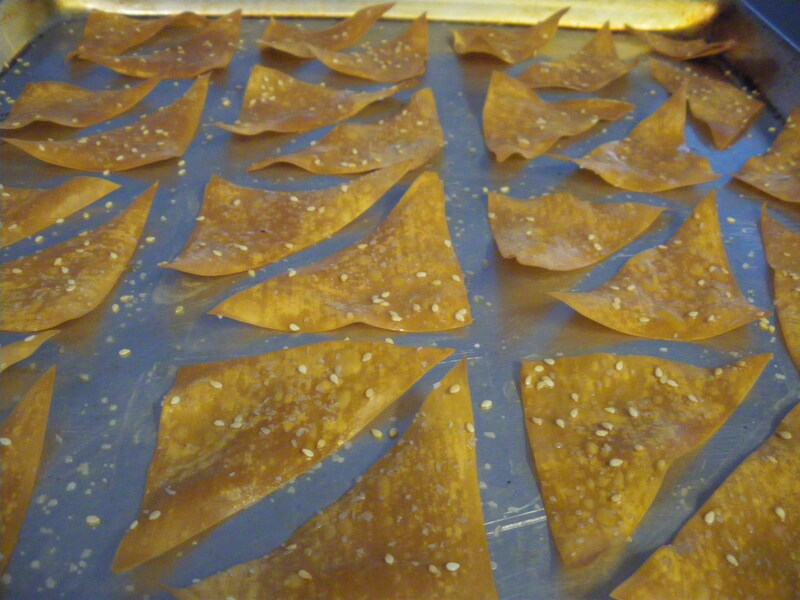 Using a pastry brush, lightly coat each chip with oil, then sprinkle with sesame seeds and a small amount of salt. Bake for 10 minutes or until crispy. Let sit for about 5 minutes. This is a great dish for a quick and healthy weekday meal. It would serve 3-4 as a light dinner or 6 as an appetizer. It has all of the delicious flavours of sushi without the added time and effort of making sushi rice or rolling it yourself. Make sure you use only susi-grade fish for this recipe. Purchase your fish from a fish market or a good grocery store where you can ask the attendant behind the counter whether or not it is sushi grade. Also ask them to remove any skin or pin bones from the salmon, it will make your life easier. 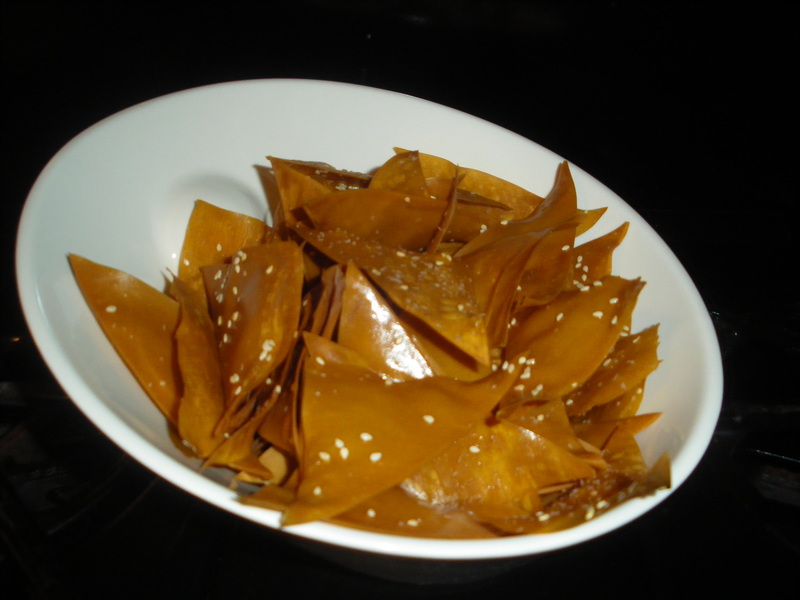 I use Indonesian sweet soy sauce, which is called kecap manis, in this dish. You can find this in an asian market or in any big superstore. If you can’t find it, add an extra tablespoon of soy and a tablespoon of honey or molases. This recipe makes about a tablespoon of extra sauce. Use it to drizzle onto your lettuce wraps if you are serving them that way. 1. Mix ingredients for sauce together in a small bowl. 2. 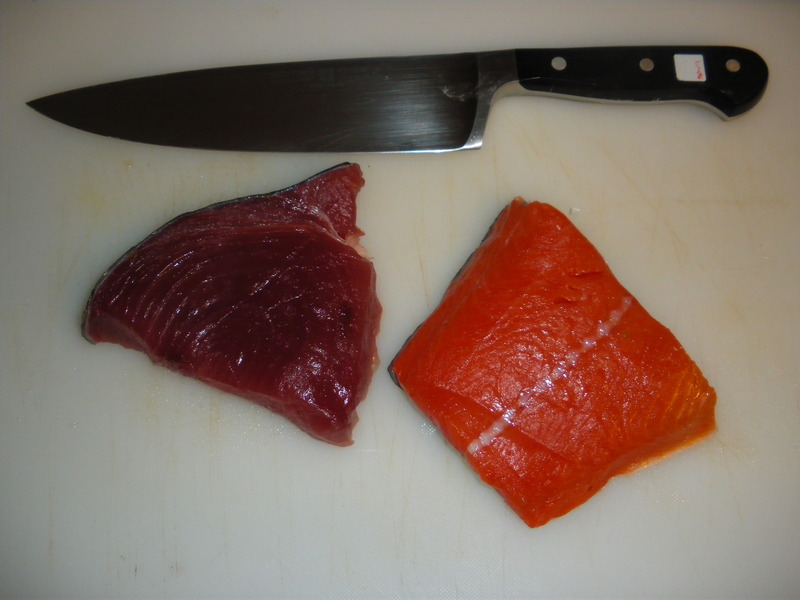 Place the tuna and the salmon in separate bowls. Add two tablespoons of sauce to each, mix well, cover and marinate in the fridge for 15 minutes. 3. Remove from fridge. Divide the remaining ingredients (avocado, greeen onion, nori and cucumber) between the two bowls. Gently stir to combine well. Serve with wonton chips (recipe on another blog), lettuce wraps, salt and pepper kettle chips or make sushi handrolls. This would pair great with a slightly off dry riesling. I used Intrigue Riesling, but something from Cave Springs for my Ontario readers or a German selection would be great as well. Who doesn’t love a great burger? My twist on the all-American classic starts with the most important ingredient. BEEF. These burgers are all killer, no filler. That being said, you won’t see any ingredients like eggs or breadcrumbs in this recipe. We arn’t making meatballs here….although that’s a great topic for another blog….we are making burgers. Call me a purist, but in my opinion, to make a fantastic burger, we only need three ingredients: beef, salt and pepper. 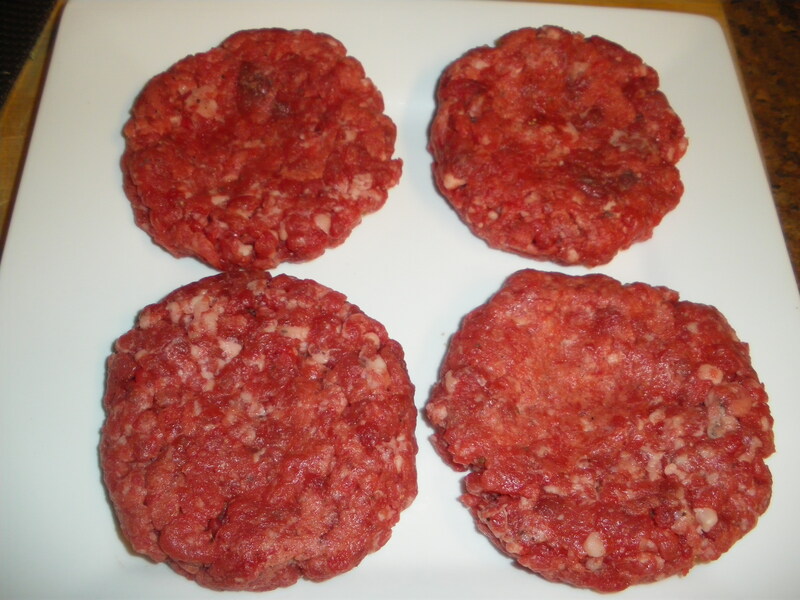 When the burgers are prepared this simply, the quality of the meat becomes really important. I like to buy boneless shortribs from my butcher, then grind them at home, that way I can cook mine to about medium. If you ask your butcher nicely, they are normally happy to grind whichever meat you like for you while you wait. If they won’t do it…it’s time to find another butcher. The ratio of fat to lean is important too. Fat adds flavor to the burgers. I like short ribs because of their beefy flavour and high ratio of fat to lean meat. A great (although pricier) subsitution is ground Prime Rib. Gently combine the meat with the salt and pepper. Form into 4 patties. *Tip: making an indent with your thumb in the center of each burger will prevent them from puffing up in the center while cooking (I hate when that happens). Refridgerate for at least 30 minutes. Giving them time to set up in the fridge helps them hold together on the grill, which is important since we havn’t used any egg to help bind the patties. Preheat the grill to medium-high. Spray your grill with cooking spray to make sure your burgers don’t stick. Cook for 5-7 minutes per side, or until they are done to your liking. Serve with your favorite cheese. 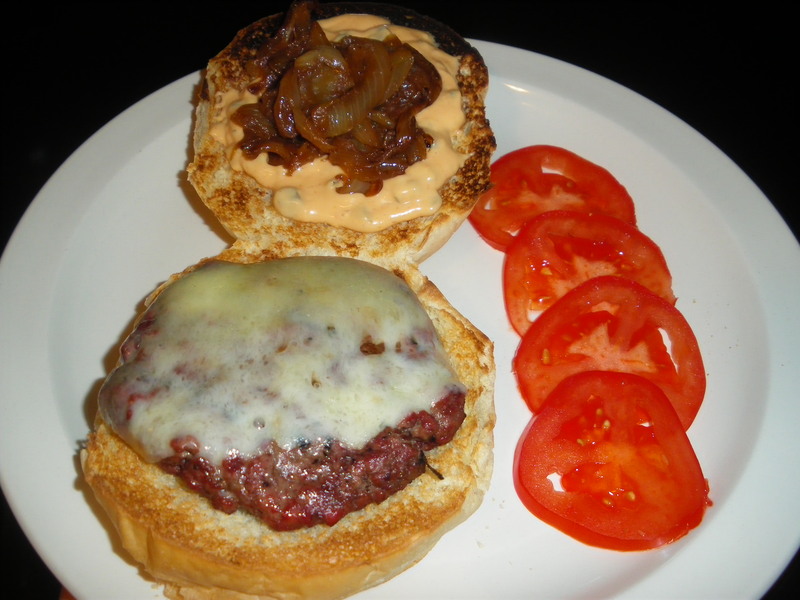 If you feel like trying something new, try my burger sauce and caramelized onion relish as condiments. You won’t be disappointed. This sauce is the perfect combination between sweet, savory, salty and spicy. It is amazing on burgers and sandwiches of all types. It would also make a great salad dressing. This is a great sweet and sour condiment for the burgers. Delicious. 1. Caramelize onions in oil on medium heat. The process takes about 40 minutes. When onions are caramelized and the pan is still hot, deglaze with the vinegar. Add the sugar and salt immediately. Stir well. This is a weeknight favorite for Shannon and I. It is a delicious and healthy meal that comes together in less than 30 minutes start to finish. Just remember to start your rice first and you’re golden. Strips of sirloin steak or pork tenderloin make a great substitute for the chicken breast. Also, feel free to sub in any veggies that you like. 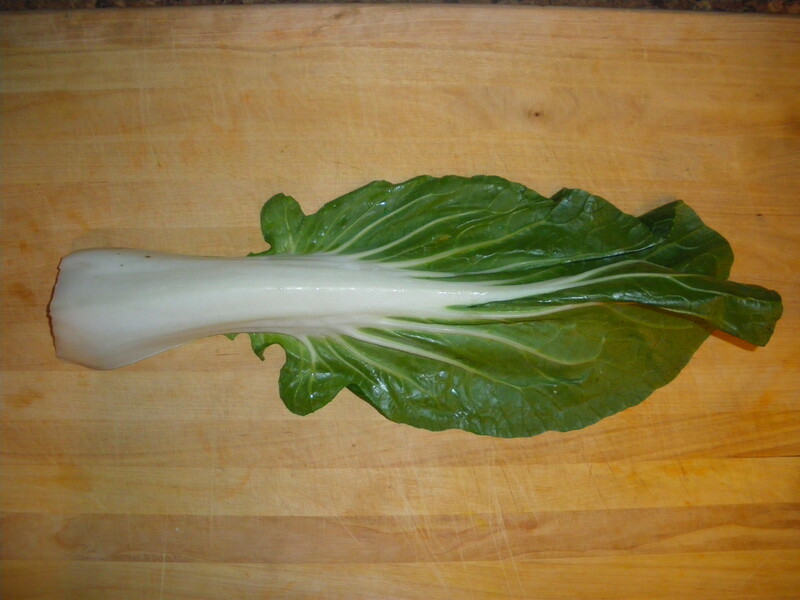 Note: I separate the bok choy stalks from the leaves in order to cook them separately, since they cook at different rates. 1. 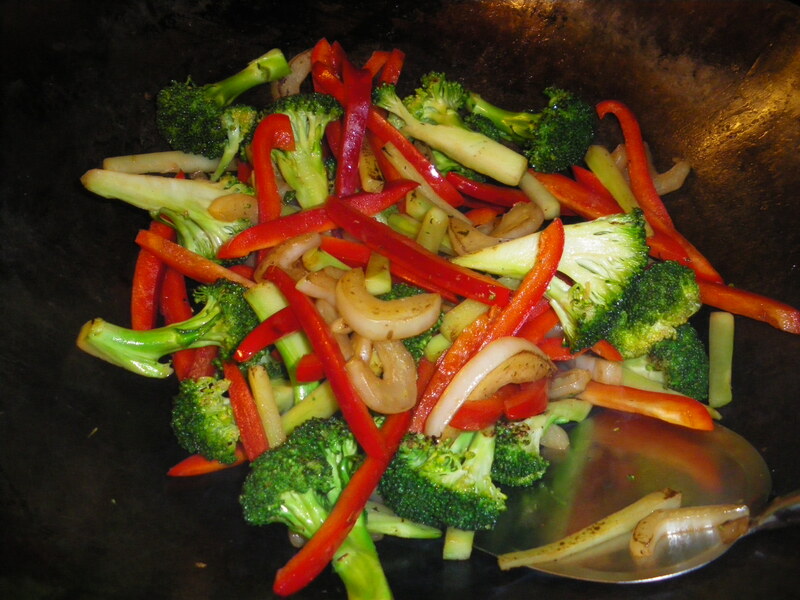 Preheat a wok or large skillet on high heat. Season the chicken with salt and pepper. Stir fry the chicken in half of the oil until just slightly undercooked, about 5 minutes. Remove chicken from wok and reserve. 2. Add remaining oil to the wok (which is still on high). Here’s where it gets repetitive: Add brocoli stems, stir one minute. 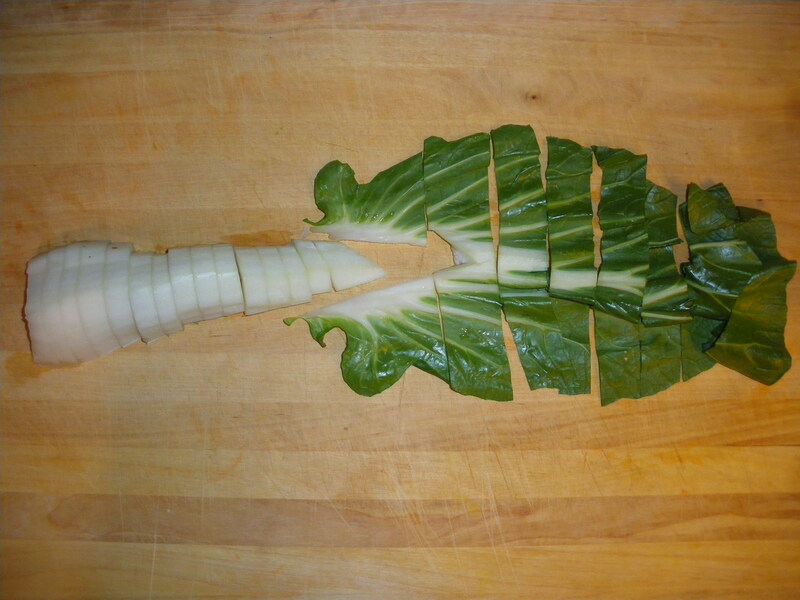 Add brocoli florets and bok choy stalks, cook two minutes. Add red pepper, cook another minute. Finally, add the bok choy leaves, chicken and stir fry sauce. Stir together for another two minutes, until sauce has thickened and chicken has cooked through. 3. Stir in the fresh cilantro to finish the dish. 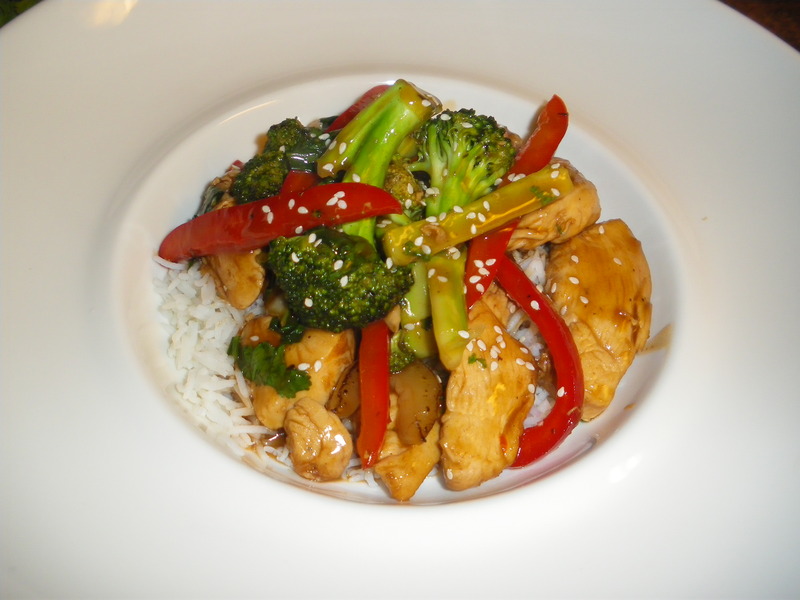 Serve over steamed rice with some sesame seeds sprinkled on top. Nothing says summer like a barbecue, and I’m not talking about grilling, I’m talking about REAL barbecue. Meat smoked low and slow over real wood. The smells are just an instant trigger for summer for me. I know summer is still around the corner, but it was Masters sunday, and I needed an excuse to sit around the house all day and drink beer. I had to watch the masters and “watch the barbecue.” Perfect. 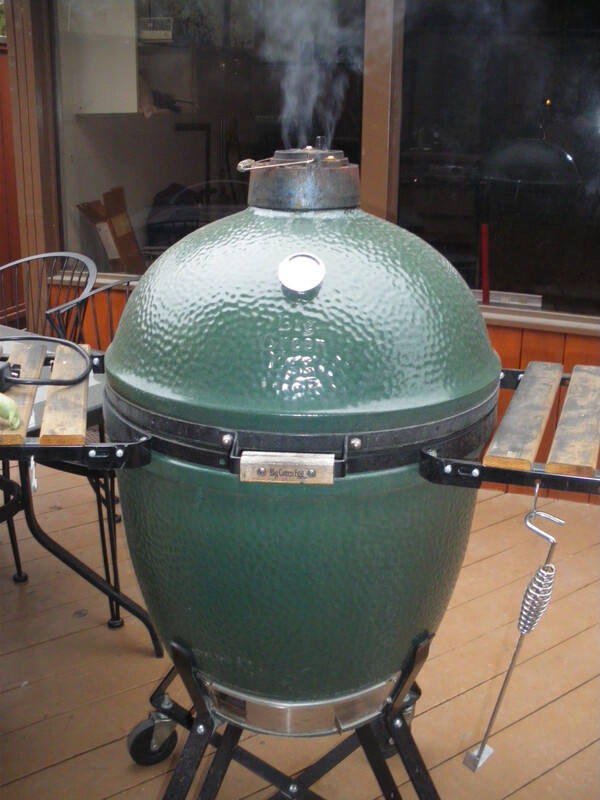 If you don’t have a charcoal grill/smoker, don’t worry about it. 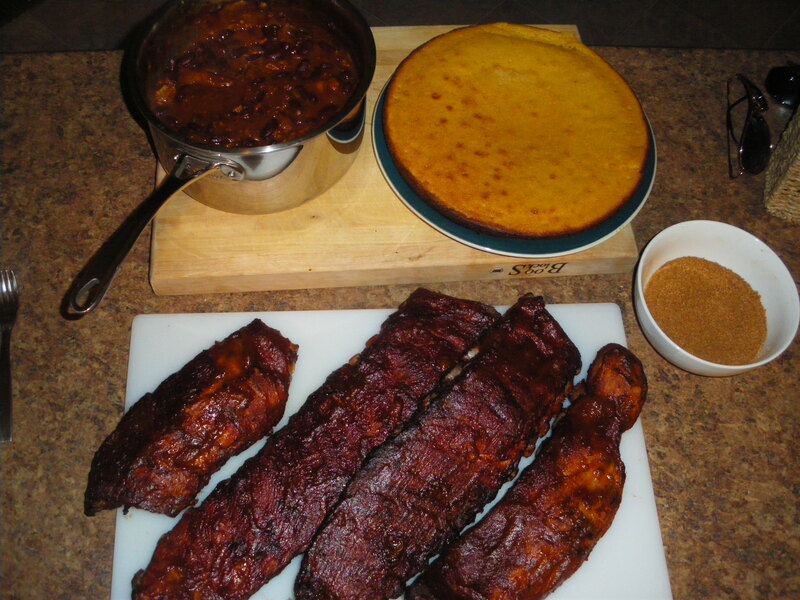 You can still use my recipes for the beans, barbecue sauce and rub. for about 31/2 hours at about 225F. Low and slow. Over the last half hour, I baste with my Root Beer BBQ sauce. *Alternatively, you can rub the ribs, then put them in a baking dish covered in aluminum foil and bake in a 350F oven for 75 minutes. Remove them from the oven. Set your gas grill to indirect medium heat (one side on medium, one side turned off). 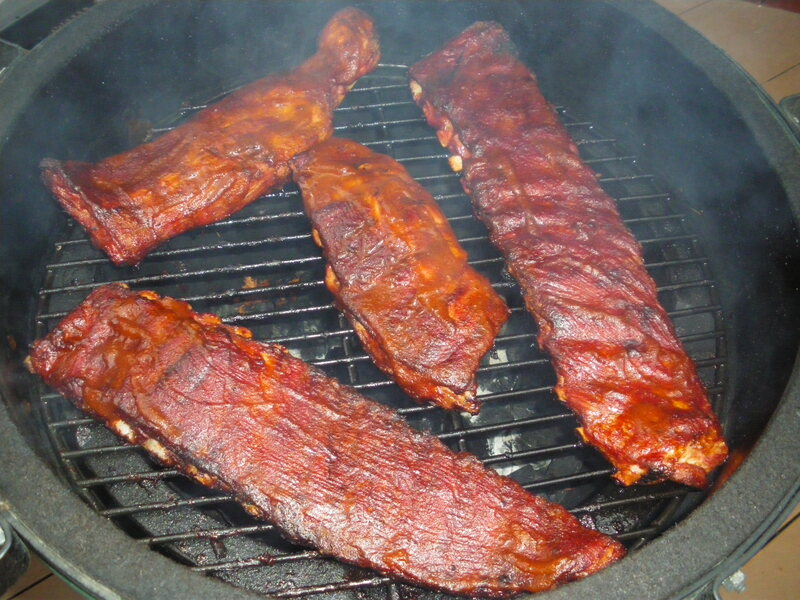 Cook the ribs for about 30-40 minutes on the side above the burner that is turned off, flipping every 10 minutes. Baste them with bbq sauce for the last 15. 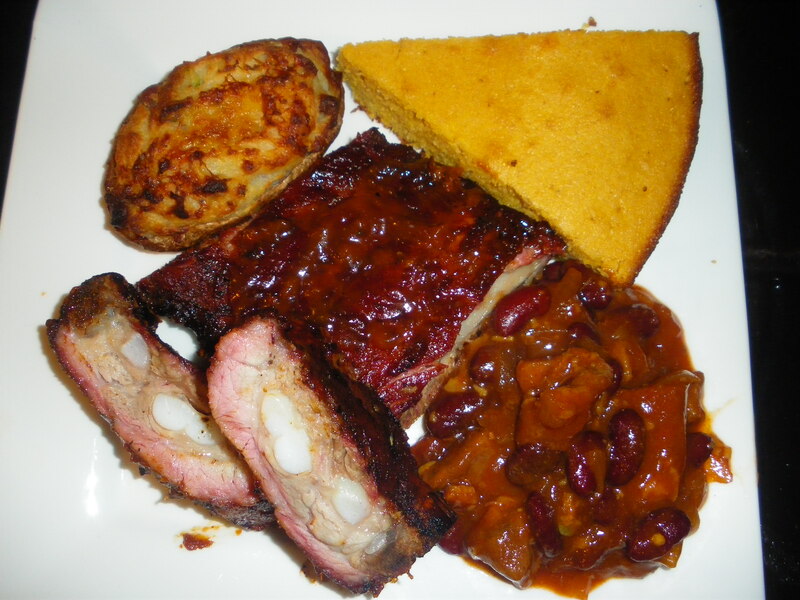 Serve with baked beans, coleslaw (I have an amazing recipe for creamy coleslaw on my Pulled Chicken blog page) and anything else you like. I like cornbread http://www.foodnetwork.ca/recipes/Side/Eggs-Dairy/recipe.html?dishid=8544 and twice baked potatoes. I will post the twice baked potato recipe soon! Preheat oven to 275F. In a dutch oven, or any pot with a lid, combine all ingredients except for salt and pepper. Cover the pot and cook as long as you can! I like to cook them for at least 5 hours. Taste before serving and season with salt and pepper if needed. 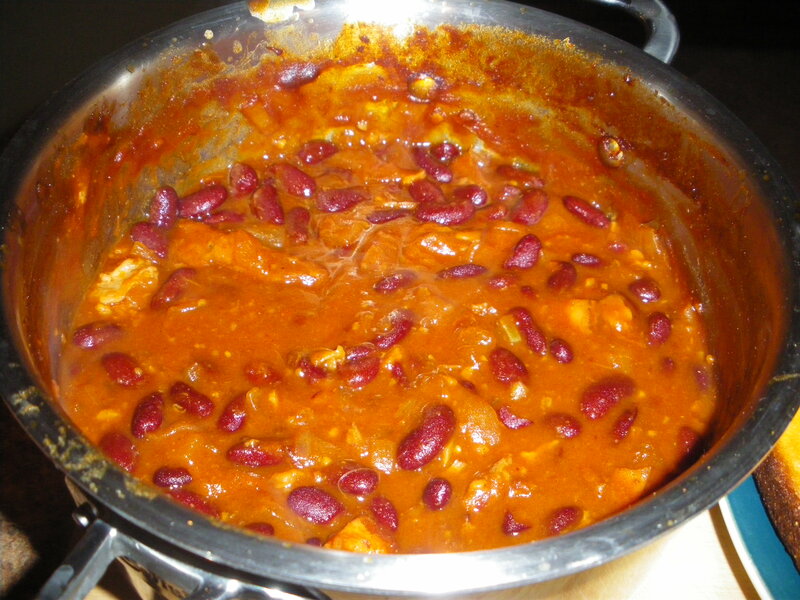 Note: I made the barbecue sauce after I made my beans, so I used store-bought BBQ sauce in my beans instead of home-made. No big deal. 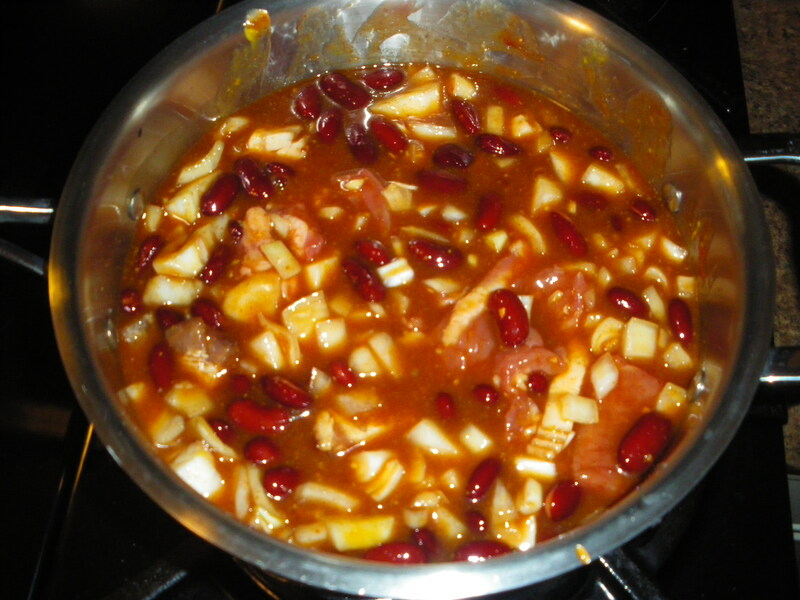 Use whichever sauce you like, or double the recipe for Root Beer BBQ sauce below and use it in the beans. In a pot on med-high heat, brown the onions in the canola oil, about 10 minutes. Deglaze the pan with the root beer, turn heat to high. Let the root beer reduce by about half, about 5 minutes. Add the ketchup and BBQ rub. Turn heat to low and simmer for 10 minutes. For a smooth consistency, blend with an immersion blender or in a food processor. Mix together in a bowl. Be creative. Don’t be afraid to adjust the seasonings to make them more to your taste. The paprika I used was really spicy, but if yours isn’t, don’t be afraid to add a teaspoon or so of cayenne pepper to spice things up. Wow. After my last post (Butterscotch Sundaes with Pecans and Candied Bacon) I feel obligated to write about something healthy! 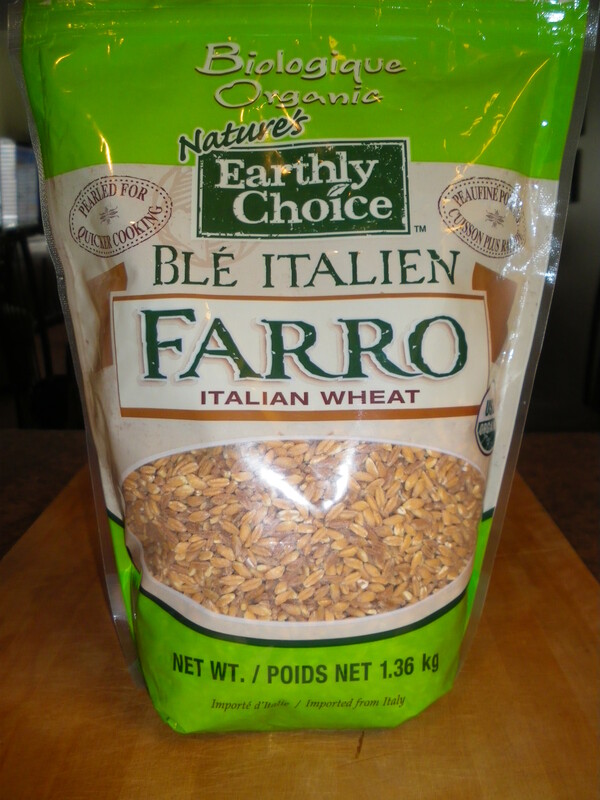 Farro is a recent discovery of mine although the people of Tuscany have been enjoying it for centuries. It is a whole wheat grain. It has amazing texture and a nutty flavour, not to mention lots of fibre and protein per serving! I have to thank the people at America’s Test Kitchen for the intro to this delicious and healthy food (I also used their ratio of farro to chicken broth to water). I love this recipe because it comes together so easily! 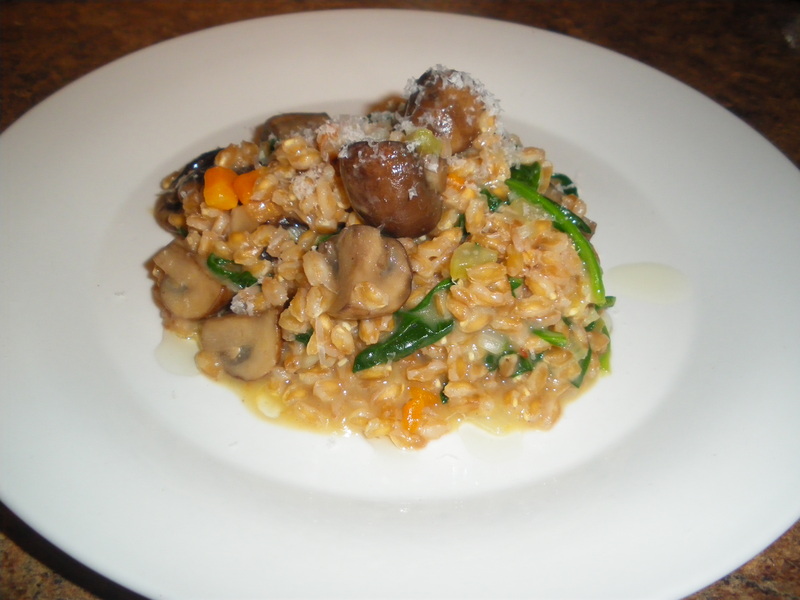 It requires less effort than traditional risotto because all of the liquid is added at once. Stirred frequently, the farro releases its starches to create a beautiful, creamy dish without having to add cream (butter is optional). I used spinach and mushrooms this time, but virtually any other ingredients would work. I’ve had success with bacon and asparagus, prawns would also make a great addition. Use your imagination (and whatever is in your fridge). Ps. Farro can be purchased at Costco or at health food stores. 1. Preheat a pot on medium heat. Add olive oil, onion, celery and carrot. Sweat together for about 4 minutes, until soft. 2. Add garlic. Sweat until aromatic, about 30 seconds. 3. Add farro. Toast with other ingredients, about two minutes, stirring frequently. 4. Add water and broth. Turn heat to high to bring to a simmer. Turn heat down to about medium low once simmering. 5. Simmer until most of the liquid has been absorbed by the farro, about 25-30 minutes, stirring every few minutes. 6. Add sauteed mushrooms and spinach and parmesan cheese. Stir to combine. Season with salt and pepper to taste. Serve with a small drizzle of truffle oil and some more parmesan cheese on top. 1. Preheat a pan on medium-high. Add oil and mushrooms. Brown the mushrooms, stirring frequently, until they have released their moisture and browned, 5-7 minutes. 2. Add garlic and spinach, stir to combine. 3. Cover pan for 2 minutes. This will quickly steam the spinach. Uncover and cook until moisture has evaporated, another 2 minutes. Season with salt and pepper to taste.